A Bruichladdich from the past days in all its glory. This bottling from mid 1970's is aged for ten years and bottled at 43%. A real showcase of what Bruichladdich produced more than thirty years ago, this is Whisky that should be on the bucket list of any Bruichladdich follower out there. 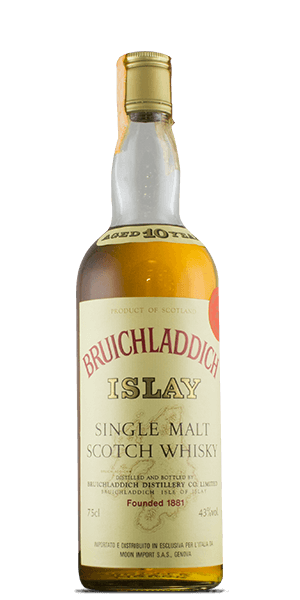 What does Bruichladdich 10 Year Old 1970 taste like? The Flavor Spiral™ shows the most common flavors that you'll taste in Bruichladdich 10 Year Old 1970 and gives you a chance to have a taste of it before actually tasting it.